The famous chef, food critic, and culinary writer Andrew Zimmern once said, “If it looks good, eat it.” Well, that’s how we see exotic food. Sampling foodstuff that is not part of daily meals or restaurant menus is always an exciting adventure. For us, it’s like discovering the history and culture of a place through the taste buds. It’s like revisiting a place’s culinary past. After all, what we deem as exotic, strange, or even shocking foodstuffs are actually viands that our ancestors enjoyed hundreds of years ago. 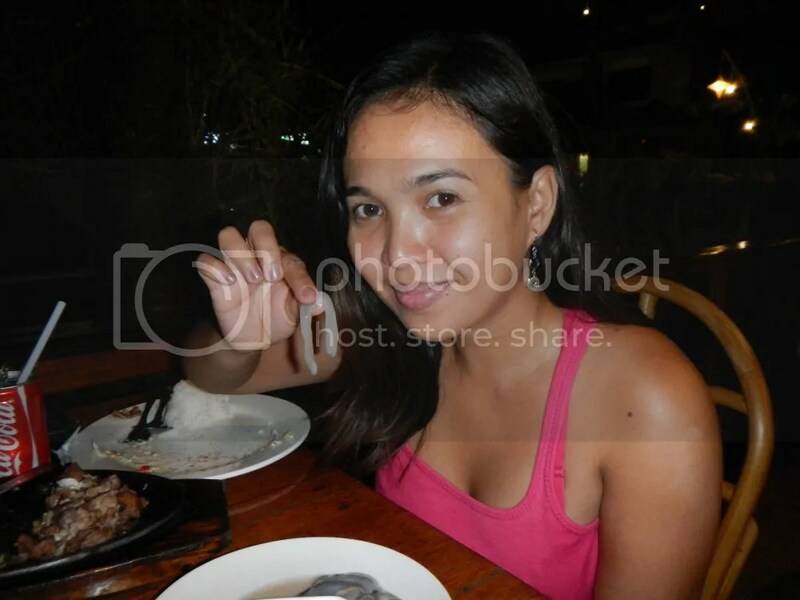 Palawan, with its unspoiled richness in natural resources, has its own retinue of exotic foods. And the most popular—and for some, the most disgusting—is the tamilok. What is it? Well, it’s a fear-factor food, but we’ll tell you all about it in a few moments. We went back to the hotel to rest and refresh a bit after our city tour. 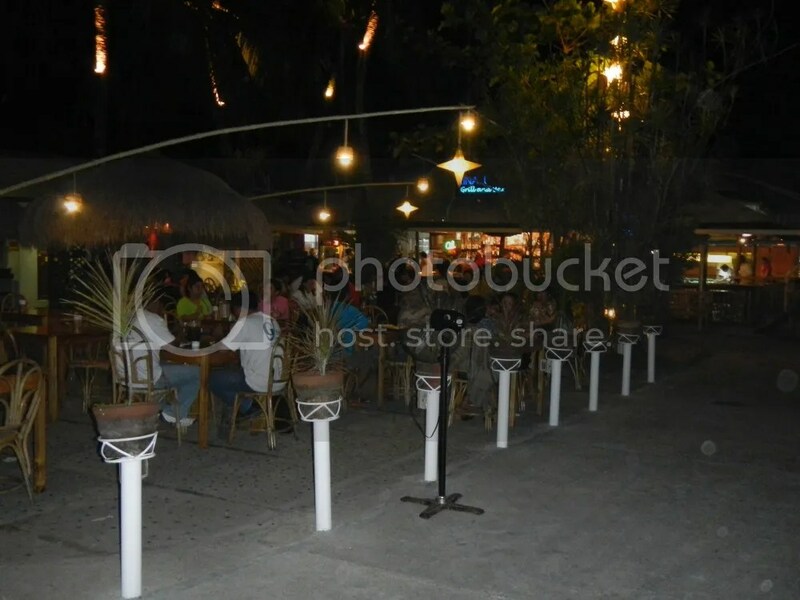 Then at around 8 PM, we hired a motorcycle to take us to Kinabuchs Grill and Bar, one of the most popular and recommended restaurants in Puerto Princesa. Kinabuchs is owned by Butch Chase, a former motocross driver now turned restaurateur. He put up a bar counter, placed several pool tables, hung photos and newspaper clippings of his motocross days to recreate a biker-themed resto. However, to make it appealing to Filipinos who are generally not into the motorbike culture, he incorporated locally made bamboo and rattan furniture. 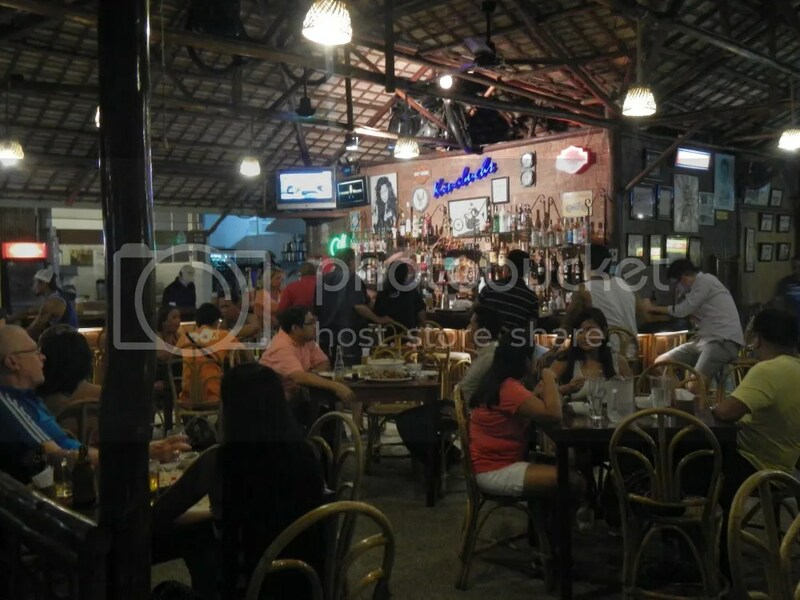 Similar to many Filipino grills, Kinabuchs also has tables arranged outside the roofed structure. Electric lanterns and decorative bulbs make the place glow. 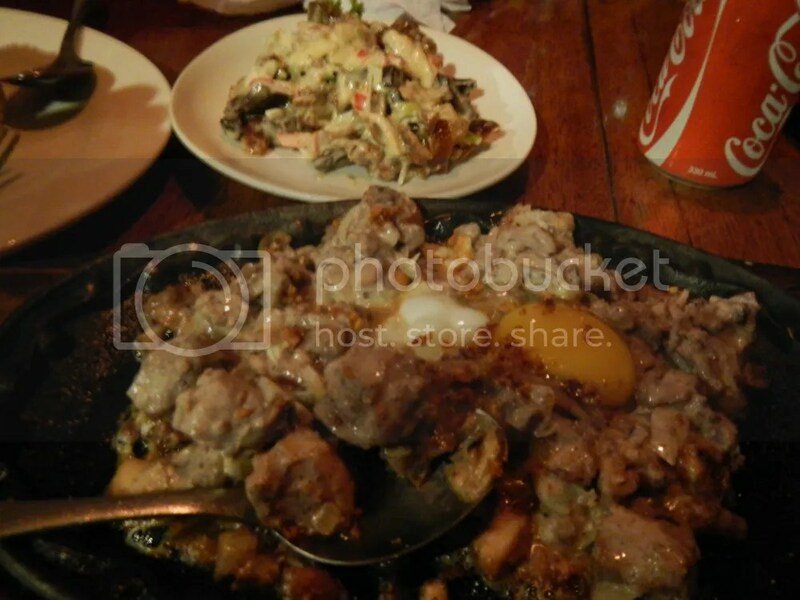 We wanted to try out their sizzling crocodile sisig, but it was a little too expensive for us. So we settled on two dishes. This one is Kinabuchs’ yummy sizzling seafood sisig made up of chunks of fish, squid, and bits of meat and topped with a raw egg. The other dish we ordered was dinakdakan, which was quite new to us. Slices of pig ears, tongue, and liver are mixed with peppers and other vegetables. The ingredients are then cooked in sticky coconut milk. 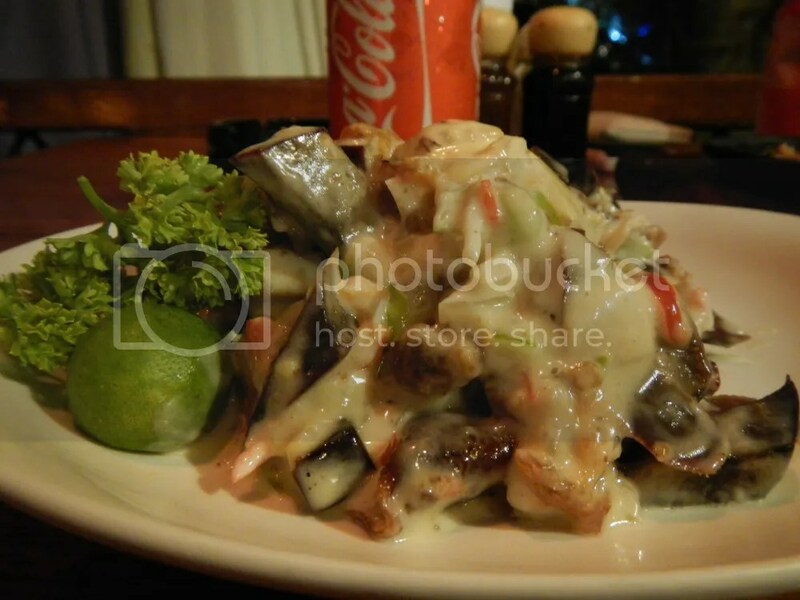 With a little freshly squeezed kalamansi juice, we tell you, this dish is absolutely dynamite. After our main course, we ordered tamilok. Now, the restaurant serves two varieties: the buttered tamilok and the slightly more expensive tamilok ceviche, or tamilok eaten raw. At first, Sweetie was reluctant to eat raw tamilok and urged me to order the cooked variety, but I insisted that we try the ceviche. When the order arrived, we smiled with glee and blurted out horrified but excited gasps! Now, what the heck is tamilok? Well, it’s an invertebrate with a case of identity crisis. Colloquially, it is called a mangrove snake. Technically, it’s called a shipworm. But in scientific taxonomy, it is neither a snake nor a worm. It is actually a mollusk. If you want me to be more precise, then you’d be surprised to know that it is a marine bivalve similar to saltwater clams—yes, like the ones you bake or boil. The difference is that the shipworm has a very long, soft, naked body that is vastly bigger than its shell. The tiny shell is located at the front mouth/face/head of the animal and is used for excavating wood. Here’s a photo of what tamiloks look like. Credits to the owner of this photo. Ain’t they pretty? Shaking with both excitement and hesitation, I picked up my first tamilok. Yes, it’s more macho to pick it up by hand rather than twirl it around with a fork. I was half expecting the thing to burrow into my tongue. Speaking of burrowing, the tamilok’s favorite food and haunt are dead or decaying mangroves. But mangroves aren’t the only victims. Wooden materials that are soaked or immersed in seawater such as wooden docks or the hulls of wooden ships are favorite haunts of tamiloks. In fact, fishermen coined them the termites of the sea. To harvest tamiloks, a fisherman simply chops the decayed branch or trunk. As more of the wood is exposed, the calcareous tubes where the tamiloks reside are exposed. The tamiloks are then pulled out and harvested or eaten right on the spot! 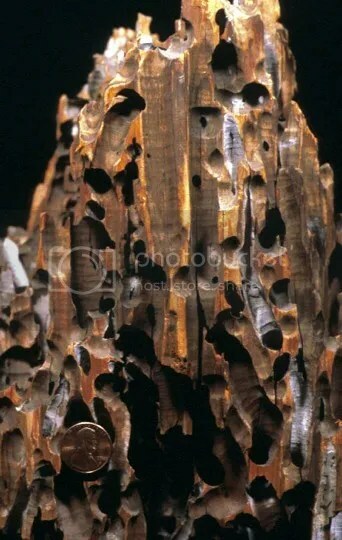 Check out the extensive damage to a wooden pillar done by a colony of shipworms. Photo courtesy of Wikipedia. Playing with food? Nope, I just had fun slurping it. “It tastes pretty okay, Sweetie,” I assured her. So she picked up her first tamilok . . .
And down the hatch it goes. How did Sweetie described the taste? She said it tastes like seawater that is made into jelly with a dash of oyster in it. I agree with her. 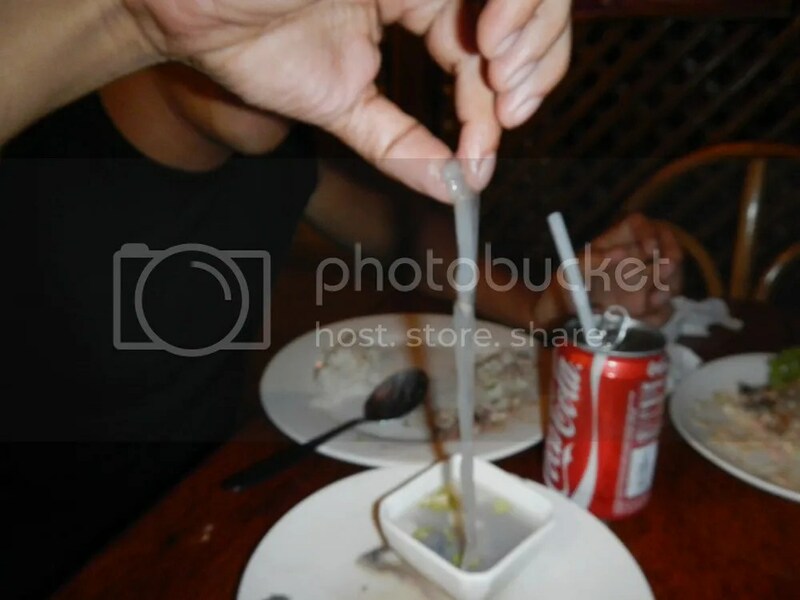 The tamilok’s slime and taste may be quite difficult for many diners to swallow. Thus, they dunk the thing in a bowl of vinegar garnished with onions, garlic, and peppers to soften the blow. Have you ever wondered how this huge, ugly mollusk got its name? Well, this may be urban legend or factual data. Anyway, according to our guide during our Palawan Underground River cruise the next day, Jeron, tamilok is actually a homophone. During World War 2, two American soldiers got stranded in a beach in Palawan. While looking for food, they chanced upon locals harvesting and eating shipworms at the edge of a mangrove forest. One of the Joes, excited at the spectacle, called out to his partner, “Tommy, look!” The locals thought that “Tommy, look!” referred to the shipworm. To this day, the slimy creature-turned-delicacy became known as tamilok. It may sound disgusting but the tamilok is actually healthy. It is a rich source of vitamin A, iron, calcium, and vitamin B12. If you’re on a diet, the tamilok is for you because it contains only 110 kilocalories. Finally, the tamilok, like all other mollusks, contain high zinc content, which improves the production of the hormone testosterone. No wonder the tamilok is considered to be a powerful aphrodisiac. So, do you want to feel horny? Then eat some tamilok and let your partner scream in bed with your spectacular performance. Oh, yeah, we finished a plate! And one more thing, while we were eating tamilok (and having fun while doing so), we noticed a few tourists sitting at the adjacent table. Their grimaces were priceless! 1. Kinabuchs is located at Rizal Avenue, Puerto Princesa. You can call them at (048) 434-5194 for reservations and information. 2. 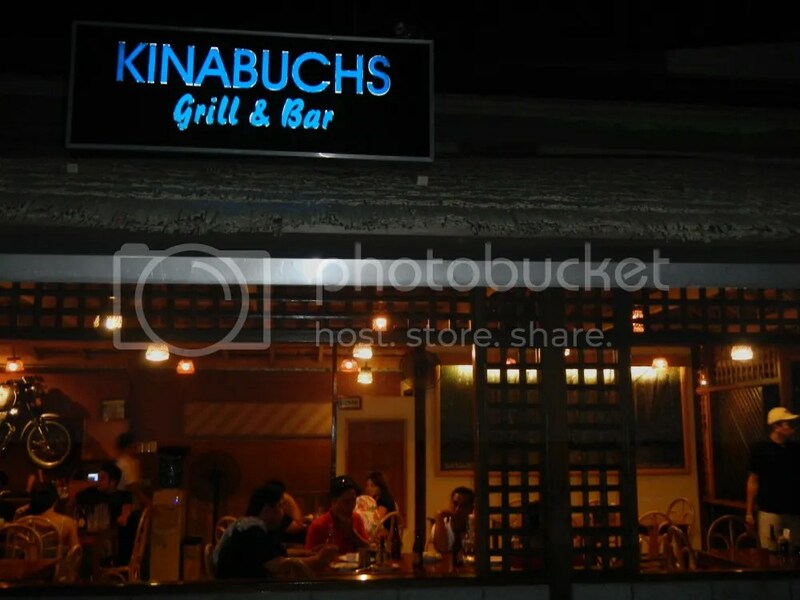 Kinabuchs is a recommended food and beverage establishment. As thus, you should make it your destination. They have an extensive menu of grilled food, all of which are delicious. Try the crocodile meat and tell us all about it; we haven’t had a chance to taste it. Finally, you can swig out a cool drink at the bar after a hearty dinner. 3. Now, for the tamilok itself. 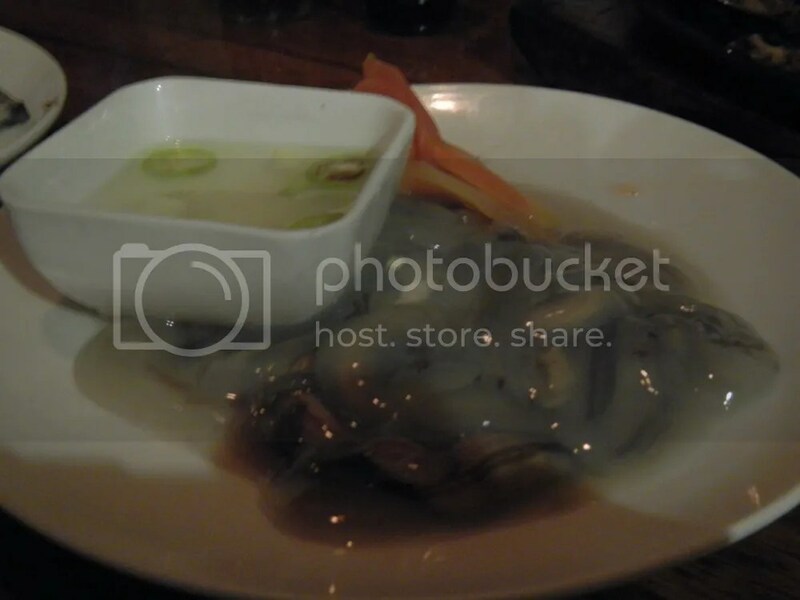 You can order tamilok ceviche (raw) or cooked. If you can’t stomach the thought of eating a raw, living thing, then go for the latter. 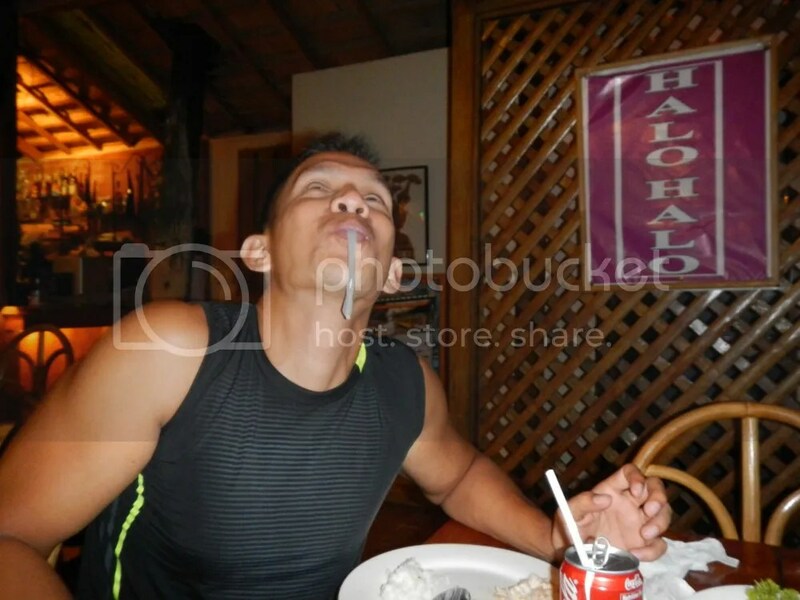 However, we highly encourage ordering the raw one to truly have a taste of Palawan. 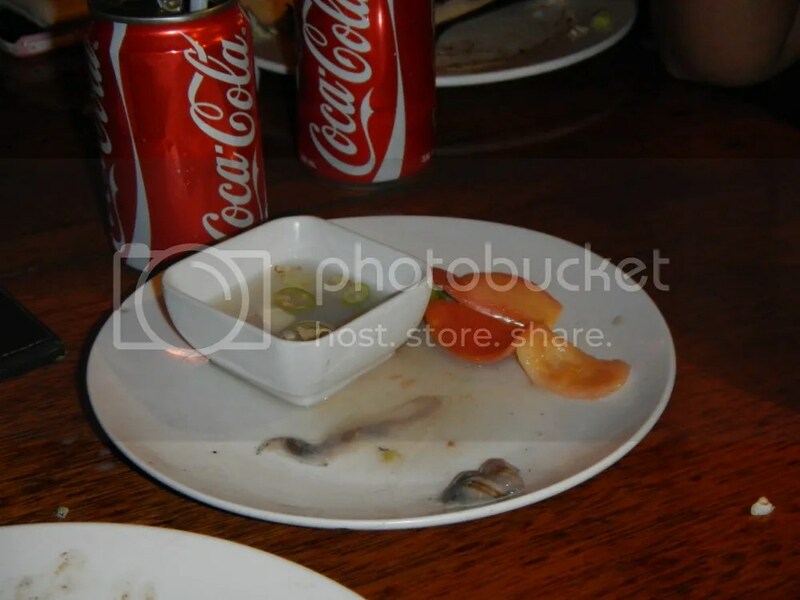 As of the date and time we ordered, the ceviche is P135 while the cooked variety is P130. Prices may change without notice. 4. 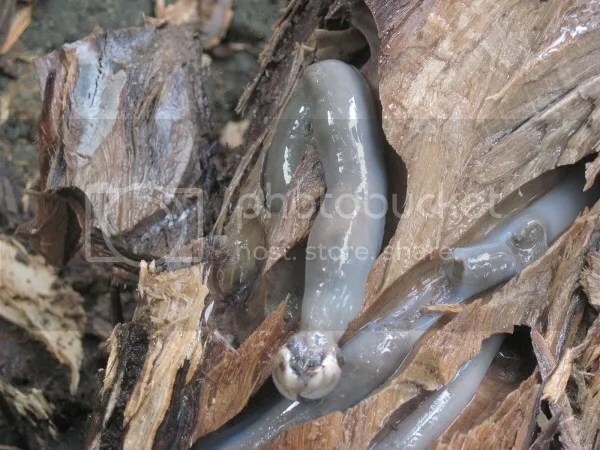 At first look, it is truly disgusting; it’s like, well, a huge slimy worm. Keep in your mind that this is not a worm but a mollusk, the same organism as clams, sea snails, and oysters. 5. Soften the blow by dunking the tamilok in the provided vinegar-spice sauce. 6. 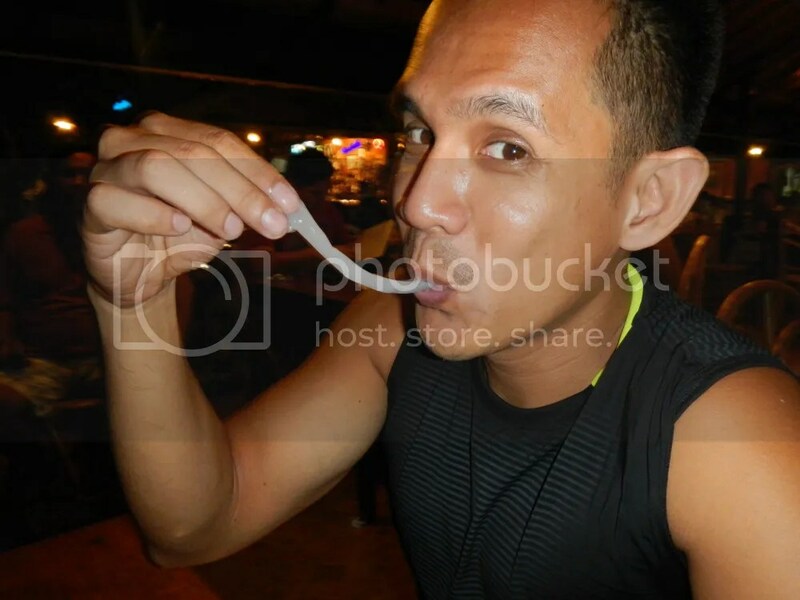 Tamilok is best eaten as pulutan (finger food) accompanied by beer. Rock climbers. Mountaineers. Sweethearts on adventure. Adrenaline Romance is a photoblog that belongs to a loving couple who has an eternal lust for adventure. 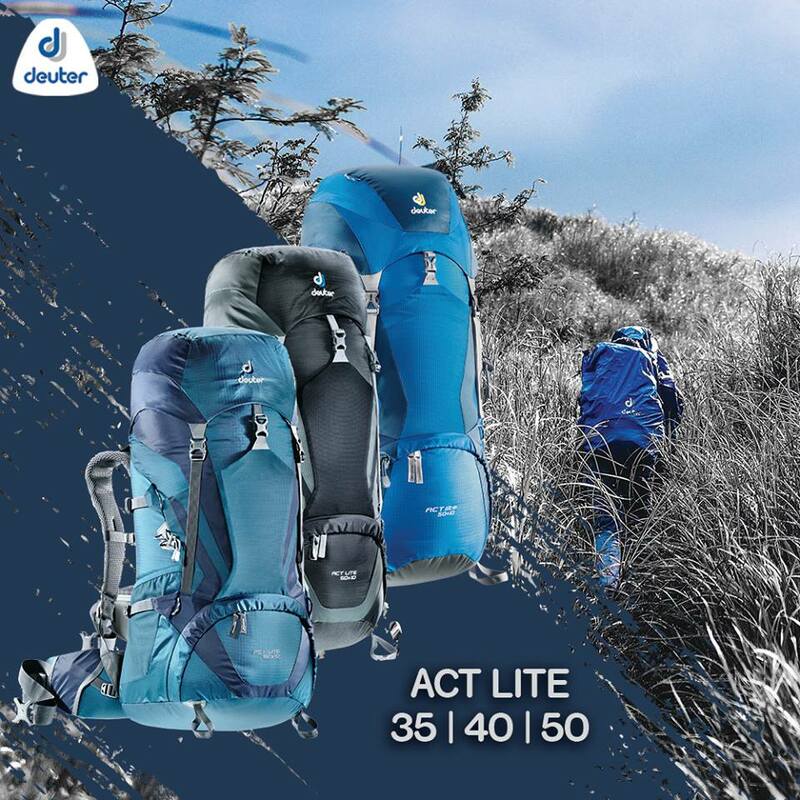 The blog contains experiences, tips, itineraries, and other useful information regarding adventuring in the Philippines and beyond. Shhhh! Perhaps the vinegar wasn’t sour enough? Hehehehe! The part about letting your partner scream in bed is quite explicit lol. They do look delicious though. Hehe! Well, many kinds of exotic food do look gross but are surprisingly appetizing. Tamilok tastes like a cross between an oyster and jelly made of seawater. Just dip it in vinegar to soften the blow. It would also help to have a few drinks. We got our details from several sources including the Internet; a book titled Strangest Creatures of the Animal World; and conversations with guides and locals. Thus, we can’t pinpoint links. Hehe! Well, that’s what we thought too. It does look like a worm, which, obviously, look gross. We remember this experience. While we were eating tamilok, the diners next to us had this disgusted look on their faces. Hehehe! Far below us, still in the shadow of a neighboring mountain range, are the Maligcong Rice Terraces. It's just amazing to realize that our ancestors, who many think as primitive, uneducated, and uncivilized, created this massive natural and architectural wonder. For us, they are unparalleled Earth engineers and artists.